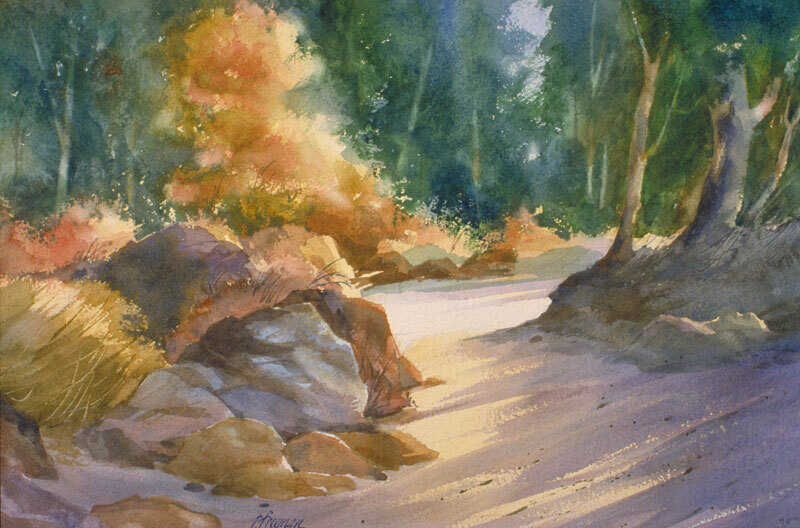 Thomas Freeman Original Watercolor Painting: "Path to Silver Lake"
After doing a wet wash for the trees, I focused in on giving character to the rocks. I wanted to show reflected light for the rocks on the left side, highlighting details and colors there. On the right the rocks are more in silhouette, being near to the strong light coming from that side. This area is above Silver Lake in the Sierra Nevada Mountains.